An all-new cast is about to experience the road trip of their lives in the family movie “Diary of a Wimpy Kid: The Long Haul” based on the bestselling young adult book series by Jeff Kinney. In the latest movie “Diary of a Wimpy Kid: The Long Haul,” Greg Heffley convinced his family to attend their grandmother’s 90th birthday party. Unknown to his parents, Greg just wants to attend a gamers’ convention nearby their grandmother’s house and soon, the trip goes hilariously off-course. The all-new cast includes Alicia Silverstone, Jason Ian Drucker, Charlie Wright, Owen Asztalos and Tom Everett Scott directed by David Bowers. Author Kinney said that the latest movie will take on a very timely theme, one that “every family is talking about” particularly the tension between gadgets time and real family time. “This is a chance for us to tell the contemporary family’s story and to do it in a humorous way,” said Kinney. 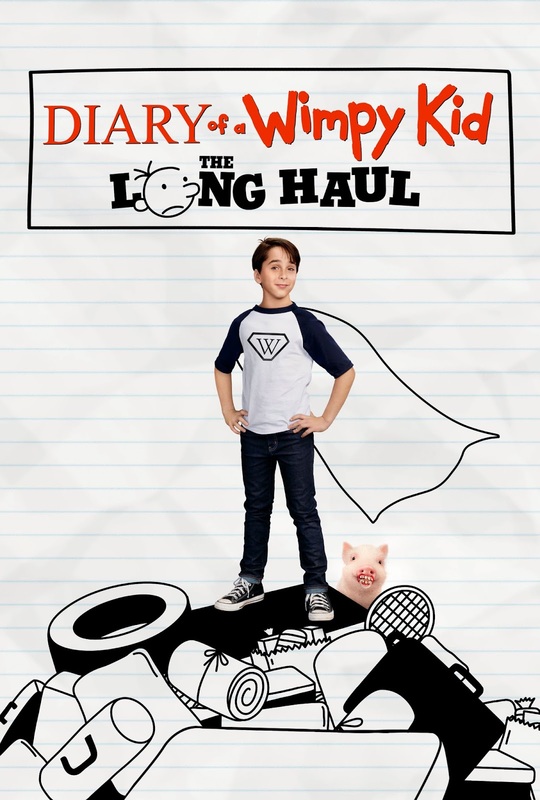 “Diary of a Wimpy Kid: The Long Haul” opens May 17 in cinemas nationwide from 20th Century Fox to be distributed by Warner Bros.